Editor’s Note: Today marks the third in a series of cross-postings from the Social Science Research Council’s Frequencies project– earlier posts from that “genealogy of spirituality” examined the AA Big Book and Marijuana. Here, in a piece that’s sure to get that Freaky Friday groove on, Emory University Professor of Religion Gary Laderman explores LSD’s contribution to the contemporary spiritual landscape of the US. The original illustration from the Frequencies site is by Joe Meiser. With plasticine porters with looking glass ties. The girl with kaleidoscope eyes. When I was 17 I dropped my first tab of acid. A friend and I excused ourselves from school, drove to Chatsworth Park in the San Fernando Valley, and tripped for about seven hours. The experience was breathtaking, to say the least: the blue sky and clouds took on geometric shapes and impossible proportions; when I waved my hand in front of my face it left multicolored trails and incandescent traces that confounded my sense of bodily space; I was overcome with a strange and powerful love for all of humanity that seemed to be personally exhilarating and cosmically liberating at the same time; and an indescribable awareness of inner light and profound insight overwhelmed my consciousness that was as mystical as it was psychologically illuminating. The year was 1979, way beyond the psychedelic and tumultuous decade of the 1960s often associated with drug experimentation and mind-expanding possibilities with altered states of consciousness. But it is a fitting anecdote to begin this essay for one specific reason: it was through the ingestion of LSD that I came to understand the utility and value of the word “spirituality.” Previous to this experience the only thing I knew about religion was based entirely on the many years of Sunday school and endless hours of Hebrew school at my reform Jewish temple in preparation for my Bar Mitzvah several years earlier. What I experienced under the influence was nothing like religion as I knew it, and while I had heard the word “spirituality” used occasionally over the years, I had no idea what it referred to until my psychedelic trip in Chatsworth Park. After that day the meaning of the word spirituality became crystal clear to me and I began to use it more frequently in my own speech and imagination to identify perspectives and experiences that were decidedly not about religion, and most assuredly about sacred insights, expansive consciousness, transcendence of the body, and inner knowledge. The point I would like to make here—and in an effort now to shift the narrative from personal confessional to cultural analysis—is that LSD contributed to a society-wide awareness of spirituality as a viable and meaningful alternative to institutional religion. LSD was itself a trip through categorical space, a tab that transitioned a tripping public from one idea of experience to another, from an idea of religion to one of spirituality. Even with the obvious dangers and bad trips associated with LSD, use of this drug and the public commentary about it provided Americans with a vocabulary to describe personal religious experiences utterly disconnected from conventional language used to identify the sacred, and not quite tethered to but not completely separated from the deep-rooted histories of spirituality provided by Leigh Schmidt in Restless Souls and Catherine Albanese in A Republic of Mind and Spirit. In the late 1960s and through the 1970s, LSD was, for many, a potent manufactured sacrament that unlocked the doors of perception in an American culture imprisoned by theological conformity, blew open the boundaries of religious experience hemmed in by doctrine and narrow ideas about social propriety, and legitimated popular cultural transformations that idealized notions of inner truth, self-seeking personal illumination, and consciousness expansion. In other words, experiences with LSD and the publicity surrounding them gave shape and content to modern understandings of spirituality. The long and tortured history of LSD has been well chronicled in books like Don Lattin’s The Harvard Psychedelic Club: How Timothy Leary, Ram Dass, Huston Smith and Andrew Weil Killed the Fifties and Ushered in a New Age for America (2010), Erika Dyck” Psychedelic Psychiatry: LSD From Clinic to Campus (2008), and Martin A. Lee and Bruce Shlain’s Acid Dreams: The Complete Social History of LSD: The CIA, the Sixties, and Beyond (1995). [Editor’s note: the Points interview with Erika Dyck is available here.] The point I would like to make in this essay is speculation based on some preliminary reflections on spirituality (and not, in case anyone is wondering, based on nostalgic flashbacks). Lysergic acid diethylamide is intimately linked to the history of spirituality in modern American culture and became a popular touchstone in new religious cultures—countercultural at first, but within decades it became quite mainstream. Although the drug would always be on the margins of practiced experience, its interpretive effects lasted well after the 1960s. Note: I should also say right off the bat that I am not advocating drug use or making any claims about LSD’s value in the endeavor to discover the authentic self or inner spiritual truth. I am saying though that contemporary discussions about spirituality are linked—via experiences, via language, via music, via writing—to the popularity of LSD and its promoters during the 1960s and early 1970s, even with, or in spite of, the very public early awareness of bad trips, illegal activities, and dangerous effects. How can the highly personal, ethereally immaterial, soulfully profound New Age spiritual revelations of the last four decades be connected to the undeniably material effects of twenty atoms of carbon, twenty-five atoms of hydrogen, three atoms of nitrogen, and one atom of oxygen? Hopefully you won’t have to turn on to see the point. Lysergic acid diethylamide has been on the American scene since the 1950s, after the chemist Albert Hofmann synthesized LSD in a Swiss laboratory in 1938 and then experimented with it and realized its mind altering potential in 1943. From that point of origin the history of LSD in America gets complicated, with early excitement about the potential useful benefits of the drug in the newly created Central Intelligence Agency in the later 1940s and in the burgeoning field of psychotherapy, which no longer limited itself to psychoanalytic theories restricted to the talking cure. Indeed in its earliest appearance on the American landscape it was labeled a psychotomimetic that could induce forms of psychosis. For the CIA and military, it was seen as a drug that could possibly lead to mind control and be weaponized; for psychiatrists and therapists, it was seen as a drug that could possibly lead to better mental health and more creativity. Early on a great deal of scientific research interest and energy emanating from discipline-centered institutions like the military and universities focused on researching the effects of LSD on the mind and psychological well being. The religious history of the drug and its impact on American spirituality, however, is driven less by specific institutional initiatives and more by undisciplined individual practitioners and advocates who understood the promise of LSD in cosmic rather than instrumental terms. Just take a pinch of psychedelic. This famous couplet, written by psychiatrist Humphrey Osmond, though a product of his relationship with Aldous Huxley, brought a new word into existence, psychedelic, that could be applied to certain drugs which might induce hallucinations like psilocybin, mescaline, and LSD, and produced a more complex set of experiences than simply an imitation of psychosis. After taking mescaline in his Hollywood Hills, California, home, Huxley and visitor Osmond understood the conceptual limitations of the word psychotomimetic to capture their time under the influence and set about finding something more accurate, less pathological, and certainly open to what they especially wanted to emphasize about this new perspective: the powerfully mystical dimensions of their experiences. 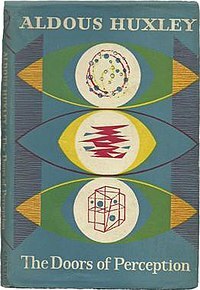 Out of this experiment with mescaline, of course, Huxley also wrote the influential book, The Doors of Perception. The linguistic and culturally liberating shift from pscyhotomimetic to psychedelic in the second half of the 1950s, however, is a significant and pivotal moment in the popular understandings of the power and purposes of LSD. Osmond and other proponents of LSD, including Alfred Hubbard, the infamous “Captain Trips” who was a key proselytizer and distributor of the drug in the 1950s, and Los Angeles psychiatrist Dr. Oscar Janiger, who helped organize more recreational uses of LSD and other psychedelics with scientists and artists in southern California, contributed to the growing awareness of the drug as both therapeutic agent and gateway to mind-blowing revelations. As the good news about LSD spread from early disciples to an increasingly wide ranging network of users, various media outlets such as magazines like Time and Good Housekeeping began to bring even more publicity to the drug. In research labs and therapy sessions, dinner parties and individual experiments, LSD started to appeal to and be consumed by patients and doctors, as well as ordinary Americans and world famous celebrities. Cary Grant, for one, publicly praised the drug for transforming his life. Bill Wilson, a co-founder of Alcoholics Anonymous, learned of Osmond’s success using LSD as treatment for alcoholics and eventually took it himself, becoming enthusiastic after his trip about its potential to foster transcendence of the ego and a direct religious experience with a higher power. 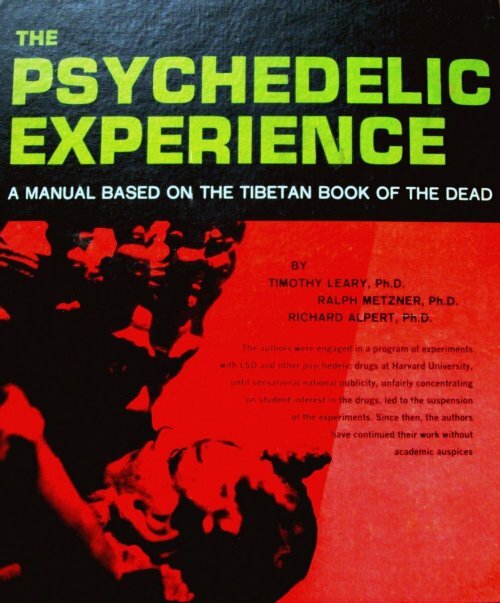 Osmond’s research, which was done primarily at Saskatchewan Mental Hospital in the early 1950s, also came to the attention of another alcoholic in this story, undoubtedly the key figure who popularized the mash up of LSD, spirituality, therapy, and consciousness expansion in the early 1960s: Timothy Leary. Having experimented with psilocybin mushrooms in Mexico in 1960 that led to what he described as an eventful religious experience, Leary was convinced about the power of psychedelic drugs and returned after this trip to his temporary Harvard position as a lecturer in the Psychology department. He established the “Harvard Psilocybin Project,” soon to be changed to the “Harvard Psychedelic Project,” and began experimenting with Richard Alpert, an assistant professor of education and psychology, with psilocybin and mescaline to treat and rehabilitate criminals. Others came into this scene, including beat poet Allen Ginsberg and future scholar of comparative religion Huston Smith, and soon recreational use of these drugs outside of experimental and therapeutic environments grew in theory and practice. The religious implications of these recreational activities with psychedelics overtook, or at least seamlessly intersected with the psychological ruminations about the potential for criminal rehabilitation, psychiatric interventions, or behavior altering promise. LSD entered the public picture in the mid 1960s and, as the saying goes, “the world would never be the same.” Leary and Alpert got thrown out of Harvard for a variety of reasons, including animosity among many faculty members and a damning exposé about drug use written by Andrew Weil, a young Harvard student rejected from the psychedelic “club” who would go on to earn his MD, experiment on his own with illegal substances, and eventually secure a future as an alternative health and spiritual guru success story. After Harvard, Leary and Alpert set up shop in Zihuatanejo, Mexico, and began more robust research with LSD that brought new spiritual breakthroughs to the community of people living with the two on the beach. Within a short time, the press learned about the experimentation in living taking place on this exotic beach in Mexico, increasing Leary’s notoriety especially, but also leading to his and Alpert’s removal from the country. From here the two eventually end up in Milbrook, New York, in 1963 and, with the patronage of some very wealthy fans, set up a new lab—really an enormous Gothic mansion with multiple buildings and beautiful, sprawling grounds—to conduct their research, which meant ingesting and sharing unimaginable amounts of acid. The high life at Millbrook likewise began to crumble before long, with Alpert breaking from Leary and leaving in 1965, and Leary himself getting entangled in numerous legal difficulties, including an arrest and conviction for possession of pot in 1965, and two subsequent raids at the mansion that contributed to Leary’s departure and ultimately the end of the Millbrook experiment in 1967. Indeed, by this time not only Leary but also LSD had become increasingly dangerous to American cultural, political, and social authorities who only a few years earlier were either unaware of its appearance on the scene, indifferent to the drug, or open to its potential psychiatric value, but who very quickly perceived a serious threat to social stability. Leary’s catchy motto, “Tune in, turn on, drop out” signaled apathy, anarchy, and atheism to the culture warriors reacting to the emergence of youth culture, drug culture, and musical culture overtaking the American marketplace. The center of gravity in this very brief though consequential history of acid in the mid 1960s—illustrious to some, infamous to others—shifts from upstate New York to the Bay Area, thanks to the connections and popularity of Alpert and Leary’s lectures/ performances in the area; the improbable allure of Ken Kesey’s “Acid Tests” orchestrated with the Merry Pranksters and including strobe lights, dancing, music, often featuring future lead guitarist of the Grateful Dead, Jerry Garcia, and lots and lots of acid; and such gala LSD-fueled events as the three-day Trips Festival, the Love Pageant Rally, and the Human Be-In. The San Francisco neighborhood known as Haight Ashbury became ground zero for the west coast cultural explosion associated with LSD, a “small psychedelic city state” that spawned not only hippie culture as America came to understand it, but also more religiously ritualistic uses of acid for cosmic and personal spiritual awakening and transformation as described, for example in the local publication know as The Oracle. Yet despite the optimism associated with the strange brew of political activism, self-exploration, communal experimentation, mystical transportation, and social liberation, the cold, hard realities of the conflicted era—which included police enforcement to uphold laws, human degradation and exploitation, and serious political contestations—abruptly contained the boundaries of hippie culture and dampened the heat from the Summer of Love in 1967. LSD was declared illegal in 1966, congressional hearings emphasized the dangers of drugs, Leary was soon in jail and, after escaping from prison, in exile by the early 1970s, and Richard Nixon called for a war on drugs. Of course, some of these messengers may have been participating in antics and practices of self-promotion that could be taken as parody or prophecy. Alpert, whose own spiritual journey brought him to India, where he assumed the new identity of Ram Dass and contributed to the increasing popular interest in “eastern” religions; Weil, whose early rejection from the club did not stop him from experimentation with, and support of, various drugs and who ultimately became a leading figure in alternative, integrative medicine as much about the spirit as the body. Some messengers brought the gospel of LSD through music, including the Byrds, Jimi Hendrix, and the Beatles, to name only a few. And some, at least for a short time, very easily moved from LSD to the increasingly popular Human Potential Movement, a seminal cultural phenomenon associated with the birth of New Age spirituality and centrally located at the Esalen Institute in Big Sur. 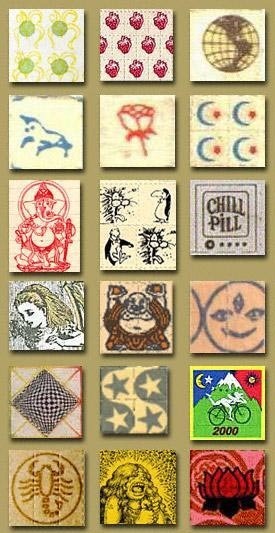 And even though acid was criminalized, even though bad trips were publicized, even though psychiatry rejected LSD as a viable therapeutic treatment, and even though the promise of countercultural revolution petered out by the end of the decade, public representations and propaganda about acid trips legitimated a certain kind of new, and until that point marginalized, spiritual language for American consumers and seekers. The personal, mystical, consciousness expanding, ecstatic experiences associated with LSD contributed, in short, to a new brand of spirituality that struck a chord and reverberated in culture far beyond those relatively small numbers dropping acid and having first hand spiritual encounters. LSD is one of many catalysts—or better, for some, sacraments—that transmute these latent spiritual tendencies and dispositions into viable, popular, and consumable religious cultures increasingly associated with the New Age spirituality flowering in the wake of 1960s. Within a very short time, and coincident with a variety of other social, cultural, and political forces transforming American society in that decade, a spiritualized view of psychedelics generally and LSD specifically as gateways to cosmic illumination and personal religious awakening, gained traction in and made an impact on the popular religious imagination like nothing before or since. Thanks in large part to LSD, it became possible, in other words, for large numbers of people to utter the phrase “spiritual, not religious” in public, and to have some personal phenomology for what, precisely, that means. A long but enjoyable read! I feel the same way regarding psychedelics and the term ‘spirituality’. They have brought me closer to knowing ‘God’ (or what I would rather refer to as ‘nature’ ) than any religious books or sermons ever have. It’s such a shame these drugs are demonized and looked down upon. They are incredible tools for self improvement and something many could really benefit from I feel. Peace.